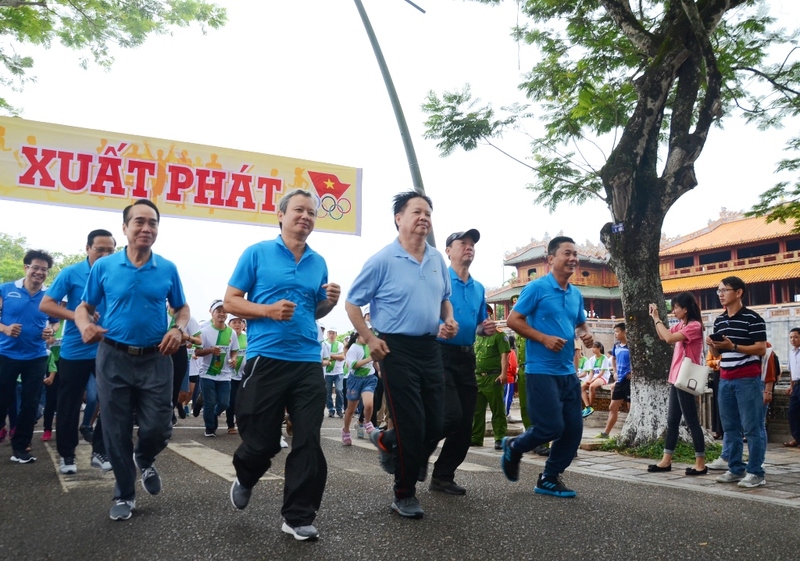 On the morning of March 24, at Ngo Mon Square, member of the Party Central Committee - Provincial Party Committee Secretary Le Truong Luu and the leaders of the Provincial Party Committee, Provincial People's Committee, departments, branches and more than 2,000 athletes from 23 units in the province participated in the Olympic Run for health & the Provincial 2019 traditional cross-country tournament. 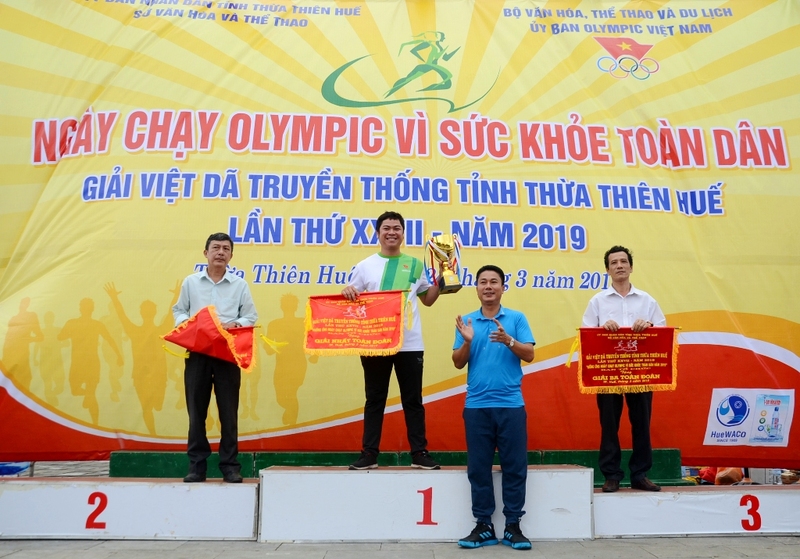 At the opening ceremony, Vice Chairman of the Provincial People's Committee Nguyen Dung emphasized that the Olympic Run for health and the Cross-country Tournament aim to "contribute to building a better and peaceful world through educating young people with sports, with indiscrimination in social class and with the spirit of friendship, solidarity, and fair play”. 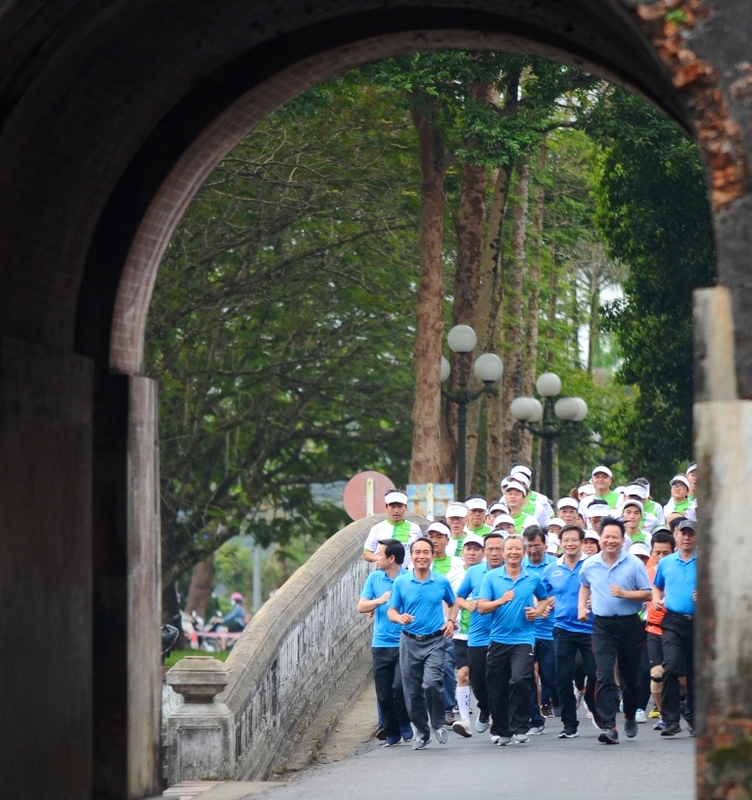 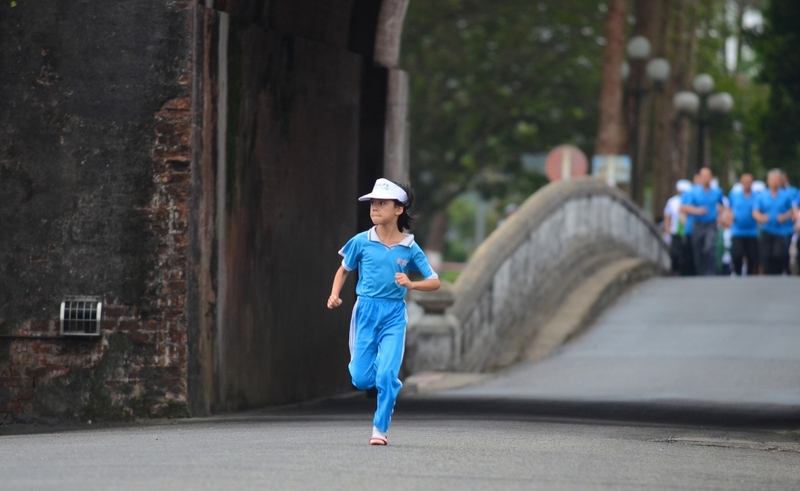 Immediately after the opening ceremony, the athletes attending the Olympic Run departed from Ngo Mon Square, ran through Ngan Gate, went to Le Duan street and back through Quang Duc Gate. 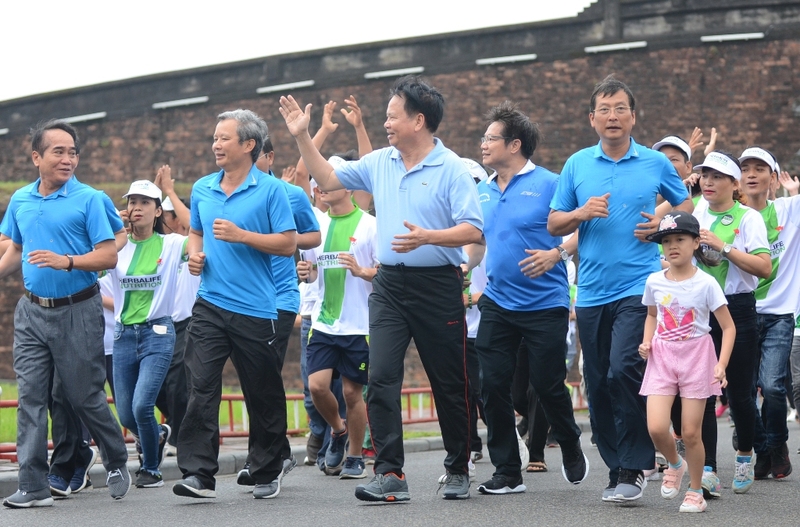 Following this activity was the team runs the forces of armed units, of universities, colleges and high schools with red flags and slogans chanted throughout the run course. 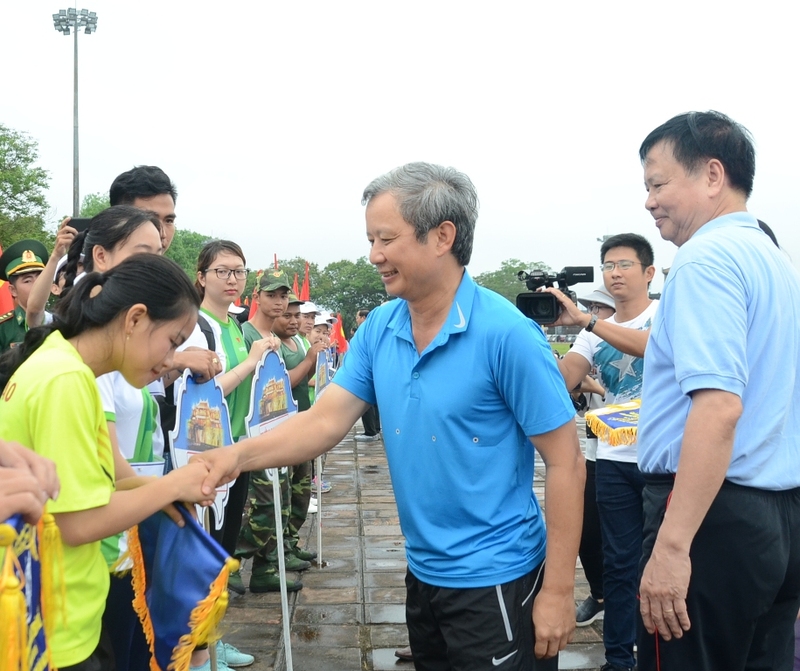 Ending the content of the Olympic run and team runs, more than 100 male and female athletes from districts, towns and cities entered the 27th provincial cross-country tournament with a distance of 2 rounds around the Inner Citadel for men and 1 round for women. 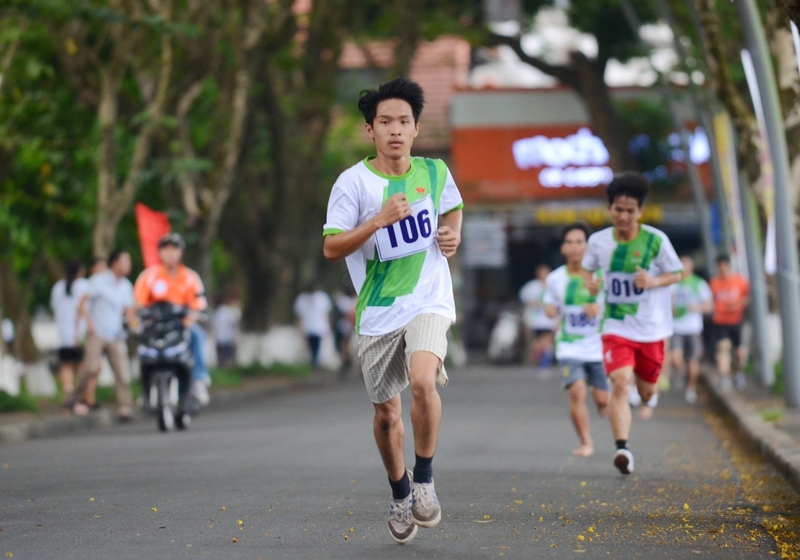 As predicted, due to careful preparation of the participating units, there were some athletes that won both the individual and team contents. 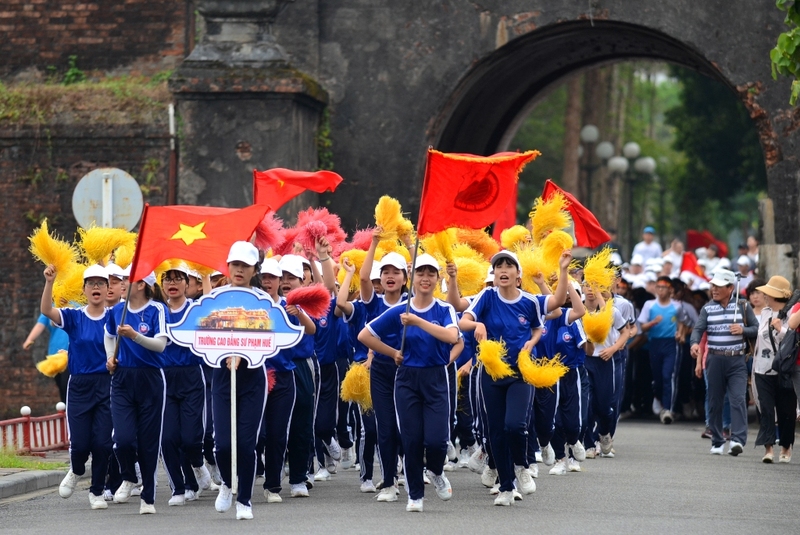 Results of the team runs are as follow: the provincial police force won first place in the armed forces category; Quoc Hoc High School won first place in the high schools, agencies, and departments category; the College of Education won first place in the universities and colleges category. 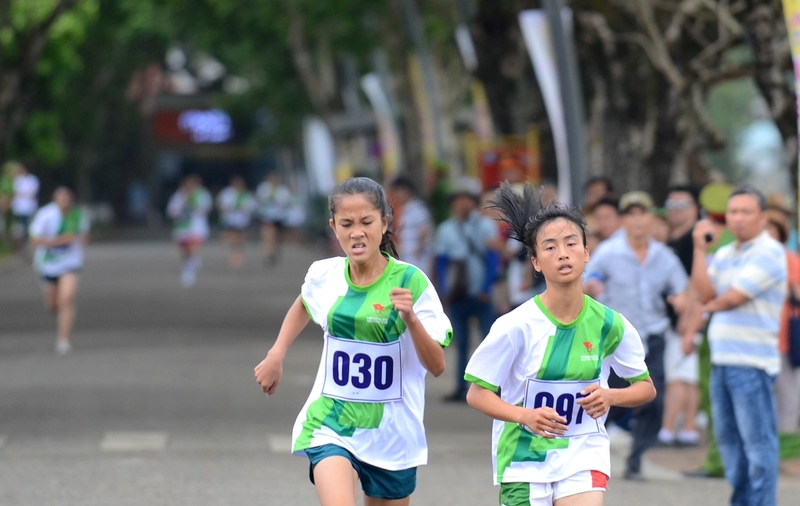 Results of the cross-country tournament are as follow: Pham Thi Ngoc Ha (Huong Thuy) won first place for the female category; Le Trong Phu (Phu Vang) won first place for the male category; Nam Dong district won first place for the male team category; Phu Vang district won first place for the female team category. 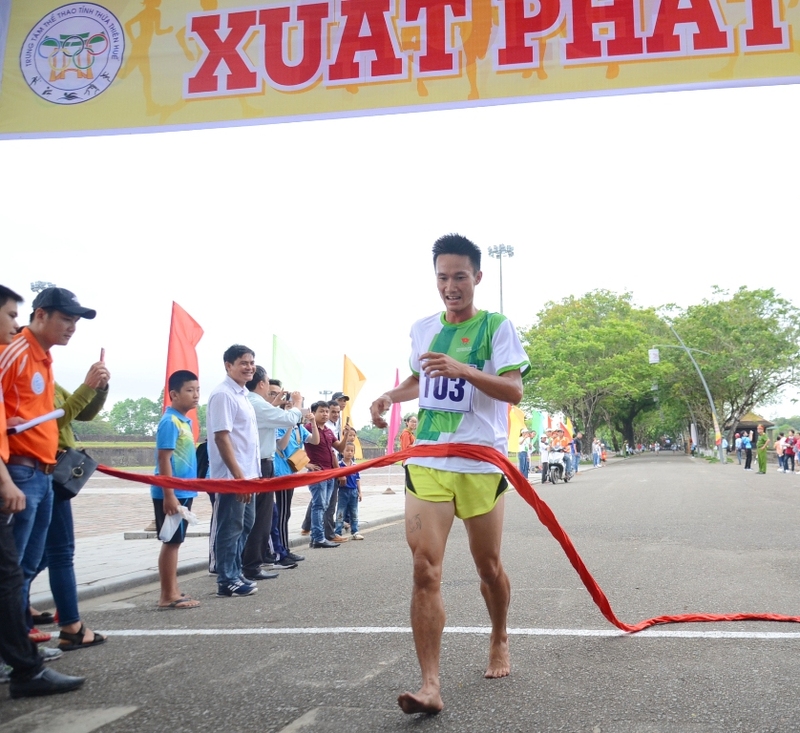 Regarding the ranking of the whole team, Phu Vang ranked first, and the second and third places belonged to Nam Dong and Phu Loc, respectively.